I have discovered the perfect breakfast for anyone on the go! 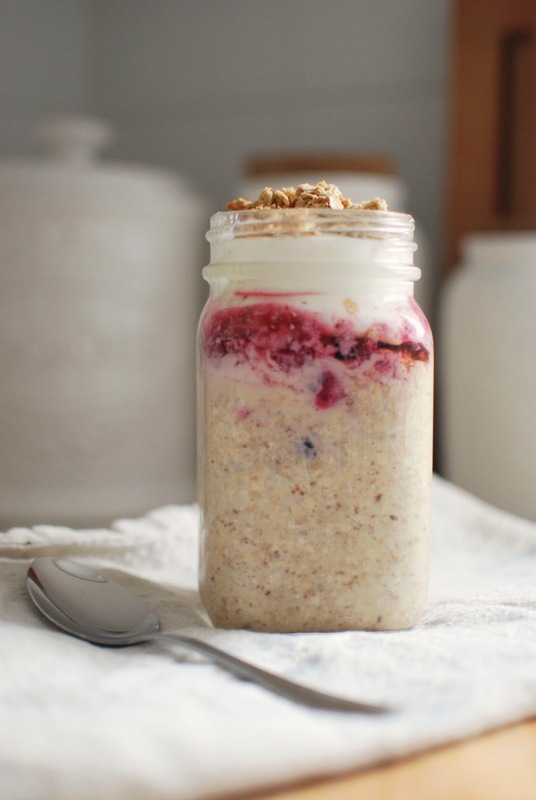 I've read many recipes for overnight oats and tried a few, but nothing really convinced me that it was an acceptable alternative to warm oatmeal...until I came across this recipe. Not only are they delicious, pretty, and good for you, they're also really filling! I don't have time to eat my breakfast at home before work, so when I arrive at my desk at 8am I enjoy them and I'm full until at least noon! The beauty of these is that they are totally customizable to suit your taste! 1. 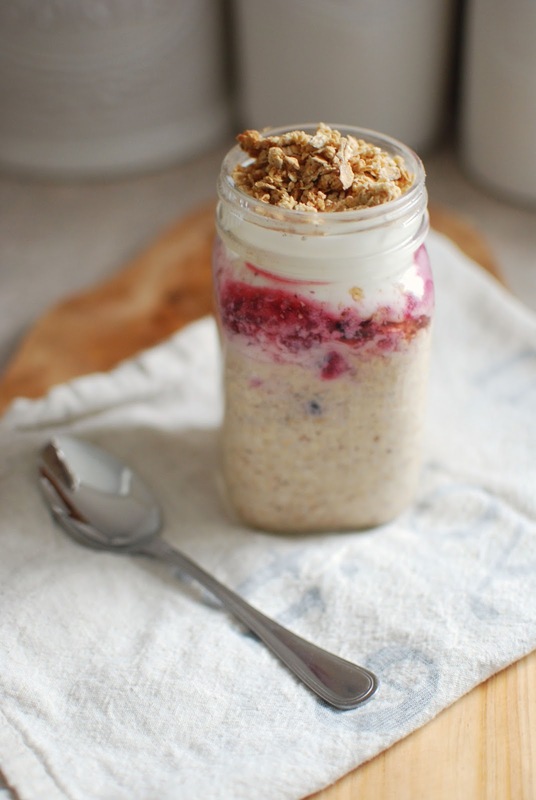 In a mason jar, add your oats, brown sugar, cinnamon, vanilla and milk. Shake well to combine. Top with a thick layer of frozen fruit and place in the fridge overnight. 2. 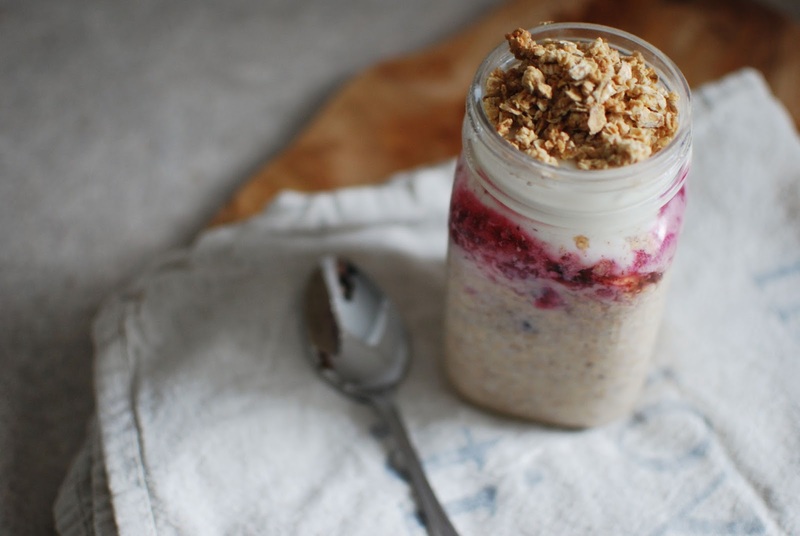 In the morning, top with honey, yogurt and granola. Stir and enjoy! If you don't like brown sugar, you could use honey or maple syrup. Cinnamon can be replaced with nutmeg or pumpkin pie spice, and the frozen fruit could be anything! Make these to fit your taste and you won't regret it!